For years I have been obsessed with the Toyota Cressida, the easily-forgotten straight six sedan that we got in America up until the early ‘90s. Did you think the Cressida really went away? Hell no. It packed it up and stuck to Japan, and now all the cool straight six ’Yotas are trickling back into America, finally legal to import. Indeed, the car that we remember as a Cressida was really only one branch of a family of rear-drive middle-class sedans. Broadly they’re all the same, just little variations in trim and body styling, thanks to Toyota’s system of multiple dealers. If you can imagine Pontiac, Oldsmobile and Buick all selling kind of the same car in different dealerships, you’re sort of on the right track, only these are all Toyotas. The only reason I know any of this is in parts of Japan, these JZXs are extremely popular budget drift cars. Toyota’s family of JZ engines are remarkably stout, as is the rest of the car. It’s a durable, workable platform, and it’s easy to find JZX100s for about what we pay here in America for a decent BMW of the same age. Again, in Japan, a JZX100 is a good cheap drift car buy. 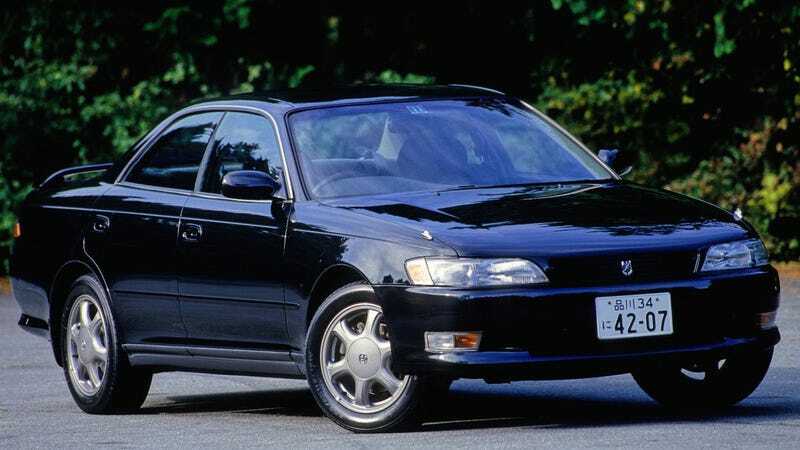 But the first JZX100s were made in 1996 and are not yet available to me thanks to America’s 25 Year Import Rule. JZX90s, however, started production in 1993, so they will be trickling in all through 2018. 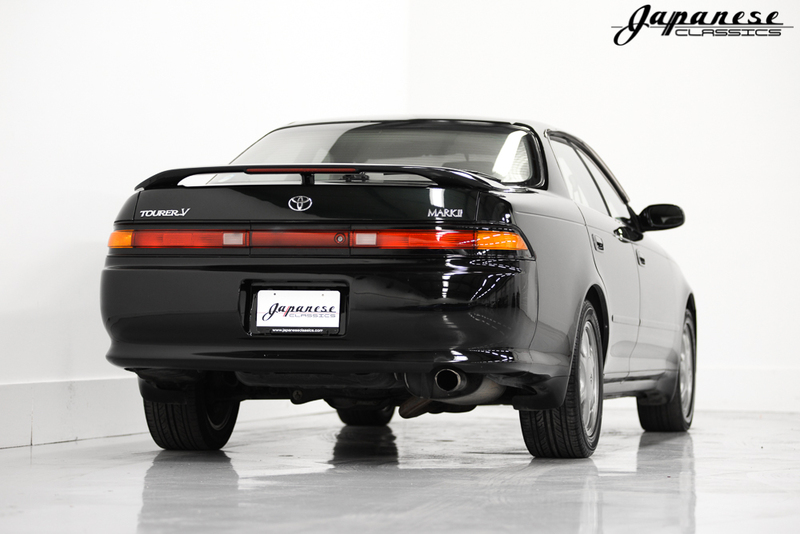 For example: Here’s one at Japanese Classics for $14,495. It’s a 1993 car with a mere 42,000 miles and a minty body with an interior to match. It’s rear-wheel drive and comes with a twin-turbo, 2.5-liter 1JZ-GTE good for a claimed 280 horsepower, or roughly a gazillion if you decide to tune it. These cars weighed about 3,000 pounds when new, which sounded like a lot at the time but isn’t too bad today. A BMW M4 is more than 400 pounds heavier. This particular JZX90 is an automatic, but I assure you it is only a matter of time before we see manual ones clogging up Craigslist. Anyway I love it and I wish it was mine and please stop me my god I only have so much money I want to save I want to live.